Yoga is medicine for many people. It provides immense physical and mental benefits that are unmeasurable. But, what if the movements in your practice are creating poor repetitive patterns that actually increase your risk of injury? While the amazing practice of yoga has ancient roots, our modern society is drastically different. 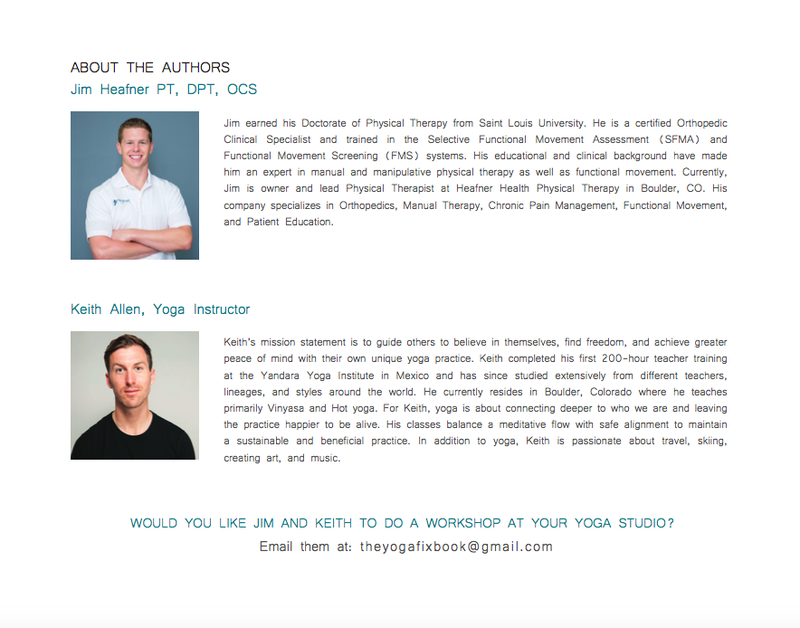 The Yoga Fix deconstructs the common misalignments that occur in a standard yoga practice.This e-book combines the physical therapy and movement expertise of Dr. Heafner with the skillfulness of yoga teacher Keith Allen ERYT500. 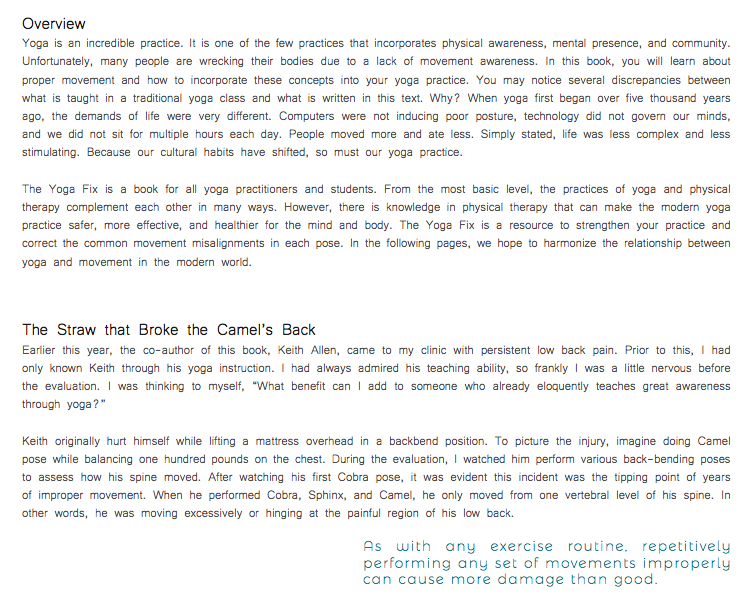 Yoga is not broken, but certain postures need to be fixed! Whether you are new to yoga or an expert teacher, this book has movement cues and yoga alignment principles that will deeper your practice. The Yoga Fix takes readers through 40+ poses with unique content about healthy movement patterns with a blend of yoga, movement, and healthy alignment principles. The ebook is thorough, well-designed, and contains over 300 photos.